HARLINGEN — With the largest Republican crowds he could recall in the Rio Grande Valley, Ted Cruz appeared confident and comfortable, cracking jokes in English and Spanish, despite only being fluent in the former, welcoming “build that wall!” chants and hearty boos at the prospect of a Democratic-controlled Congress. “There’s the Alpha Path,” Cruz said on Monday, meaning “common sense conservatives” voting to keep the country on the bright path it’s on. Or, Cruz added: “The Beto Path,” which would hand U.S. Rep. Nancy Pelosi the House Speaker’s gavel and begin impeachment proceedings for President Donald Trump. Supporters loudly booed the Beto Path as they wore customized Cruz gear, such as “Beto: Fake Mexican, Real P—–o” going for $12 a pop, which Ruben Saenz Jr. has sold to close friends. 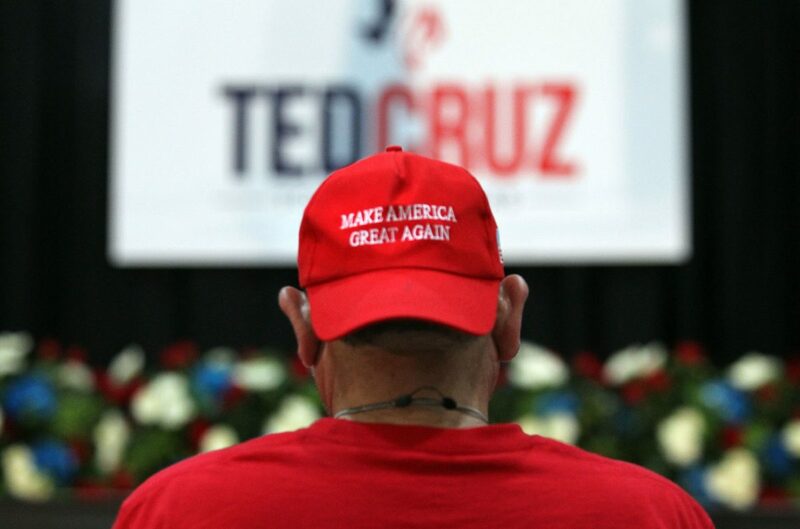 More popular throughout Cruz’s two Monday rallies, though, were a sea of red “Make America Great Again” hats. 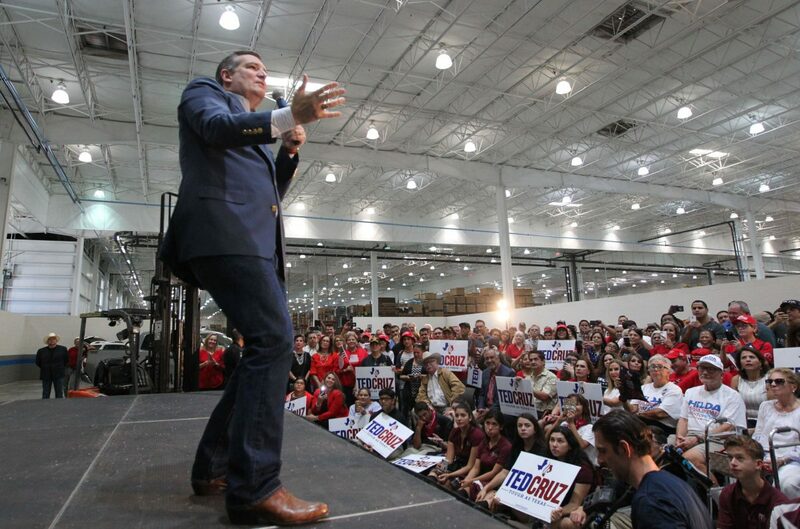 A week away from Election Day, these Cruz supporters filled a large church in Harlingen and a manufacturing facility in Mission on Monday in what has been the cycle of crowd sizes, from Trump defending the attendance at his January 2017 inauguration to U.S. Rep. Beto O’Rourke drawing thousands across the state in his challenge to Cruz. A Ted Cruz supporter at the rally at Royal Technologies on Monday ,Oct. 29, 2018, in Mission. U.S. Sen. Ted Cruz campaigning in the Rio Grande Valley for the first time since April. While Cruz was in the Valley on Monday, O’Rourke was in deep red West Texas with sizable crowds Democrats typically don’t draw there. O’Rourke has been holding rallies around polling locations during the early voting period over the last week, which on Sunday featured rapper Travis Scott in Houston. But Monday in the Valley, the energy was strong, surprising local supporters. Many on Monday noted that the Valley votes overwhelmingly Democratic — Cruz received just 31 percent of the vote in Hidalgo County in his 2012 victory. A couple opening acts were used to get the two crowds going on Monday. 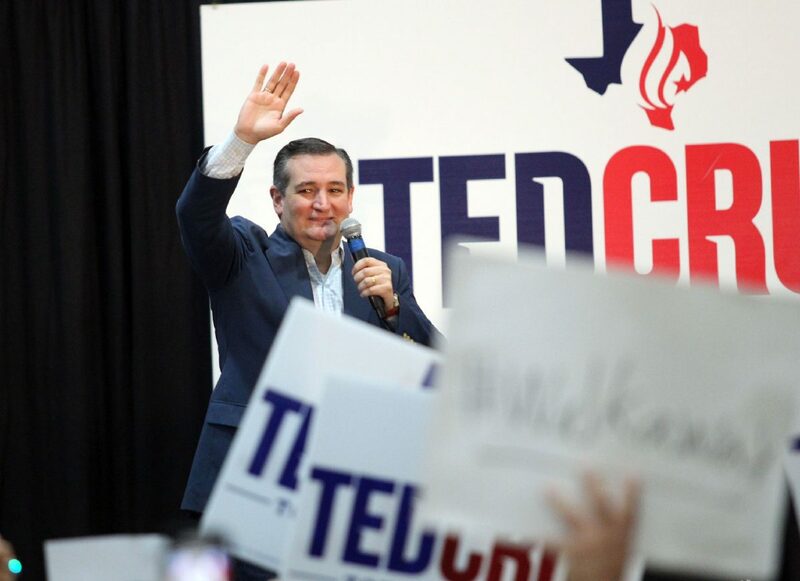 Over 1,000 supporters were on hand at the Christian Fellowship Church in Harlingen, the Cruz campaign said, followed by hundreds at a manufacturing facility, called Royal Technologies, in Mission. The speakers included Paul Perez, President of the RGV chapter of the National Border Patrol Council, the Border Patrol’s labor union; State Sen. Dawn Buckingham, R-Lakeway; and U.S. Sen. Mike Lee, R-UT, who is Cruz’s closest friend in the senate and a fluent Spanish speaker. Lee learned the language when he was living in the Valley 25 years ago, for two years, while completing his missionary service for the Church of Jesus Christ of Latter-day Saints. The Border Patrol’s labor union had never publicly gotten involved in politics until 2016, when it issued its first ever endorsement, for then-candidate Trump. In April, the group announced its second endorsement, in Edinburg, for Cruz’s senate re-election. Cruz took photos with supporters at both stops, and told his staff before the Mission rally that he wanted to pose for pictures with everyone at the manufacturing facility. He got the hundreds who stayed after. One man had just gotten out of his overnight intensive care unit shift. Tired but energized, Nethaniel Henderson, a nurse at McAllen Medical Center, is more of a libertarian, he said, but supported Cruz in 2012. Henderson has been happy with Cruz’s performance since. Unlike some other supporters at the rally, and Cruz himself, who had harsh words for O’Rourke, Henderson wasn’t interested in slinging mud.